Rex the Rhino gives the Chargers their edge, determination and courage! Meet Rex at the games for a high five and a selfie and follow his adventures on Facebook here! PLUS catch his movie adventures exclusively in the What's On In App: Hit the links below to download the app. Here's the latest from Rex! Rex's new house nears completion thanks to the pros at G J Gardner! Rex meets a red friend! Woodn't it be interesting to see what a rhino does with timber? 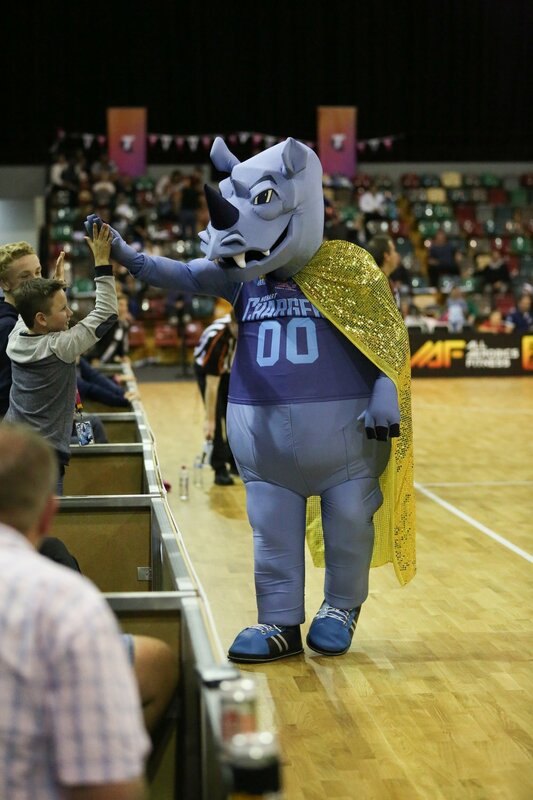 The day a rhino was in charge of Hobart! Can Rex go where no Rhino has been before? Ever let a rhino loose with a laser before? Rex visits the secret Chargers training grounds. Adventures of Rex: Game 3 Antics! It's time to see what Rex is up to at Game 3! More crazy runabouts and some high-energy action while he kicks the Tigers to the floor - watch out! Hobart Mayor Sue Hickey is On-Station! The Hobart Chargers Double Header on Friday night was a sensational night, with a large crowd of excited fans witnessing a double overtime game, with the women's Chargers unfortunately going down by 2 points, the crowd where on their feet and holding their breath. Rex is back at it again and this time he's getting onboard with an apprenticeship at North City Cars! See him learn the tools of the trade, selling for success and hopefully he can move some product.